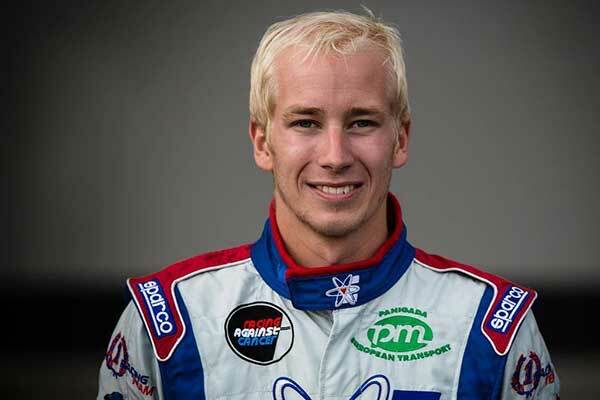 Swedish driver Joel Johansson will make his Australian debut at the Race of Stars on the Gold Coast later this month. Johansson, a former European KZ2 Champion and multiple-time winner of the Tom Trana and Viking Trophies in his native Sweden, will pair with the Australian-Championship winning Tom Williamson Motorsport for the October 13-15 event. Now in it’s fifth year, the Race of Stars has developed into the largest international karting event in the Southern Hemisphere, attracting the best drivers from all around the globe. Johansson’s inclusion in the field adds further international flavour to the incredibly talented KZ2 field that will see dual, and current, World Champion Paolo De Conto, his Italian counterpart Davide Forè, Dutchman Marijn Kremers, Belgian Rick Dreezen and Englishman Jamie Rush in action. The visitors, including Johansson, are all under no illusions about the high-level of talent that they will face from the local competitors. “Australia has always been on my list of countries that I’d like to visit and I’m very excited about being able to come and race there,” said Johansson. “Micky (Panigada – Energy Corse owner) has been very supportive to help me get to Australia and I look forward to working with Tom Williamson and his team for the event. For Tom Williamson, the opportunity to have one of the best drivers in the World join his team is one that he’s very much looking forward to. “As a team we put an enormous amount of effort in to get the best result possible and by having Joel as a part of our line-up for the Race of Stars takes this to another level,” said Williamson. 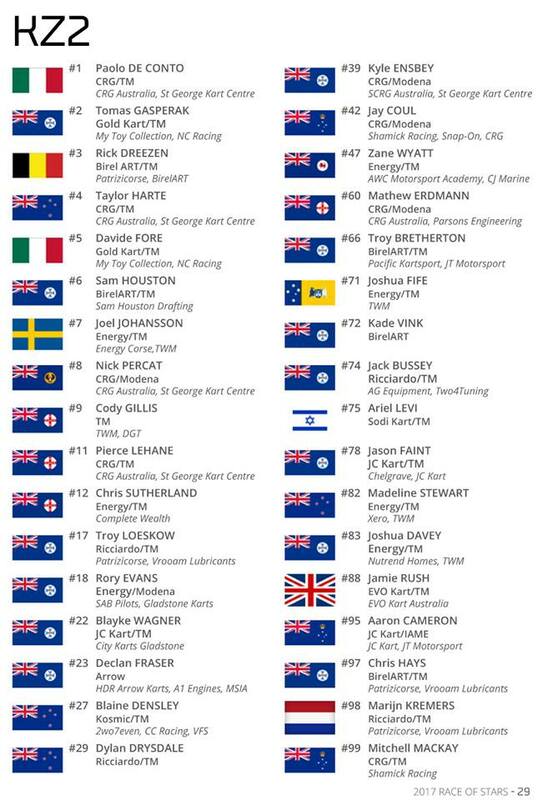 More than 230 competitors from all across Australia, New Zealand, the Phillippines and various parts of Europe will be in action at this year’s Race of Stars. Practice will be contested on Friday October 13 ahead of qualifying, with the heat races on Saturday October 14 and the Finals on Sunday October 15.